There’s nothing like putting with a view! 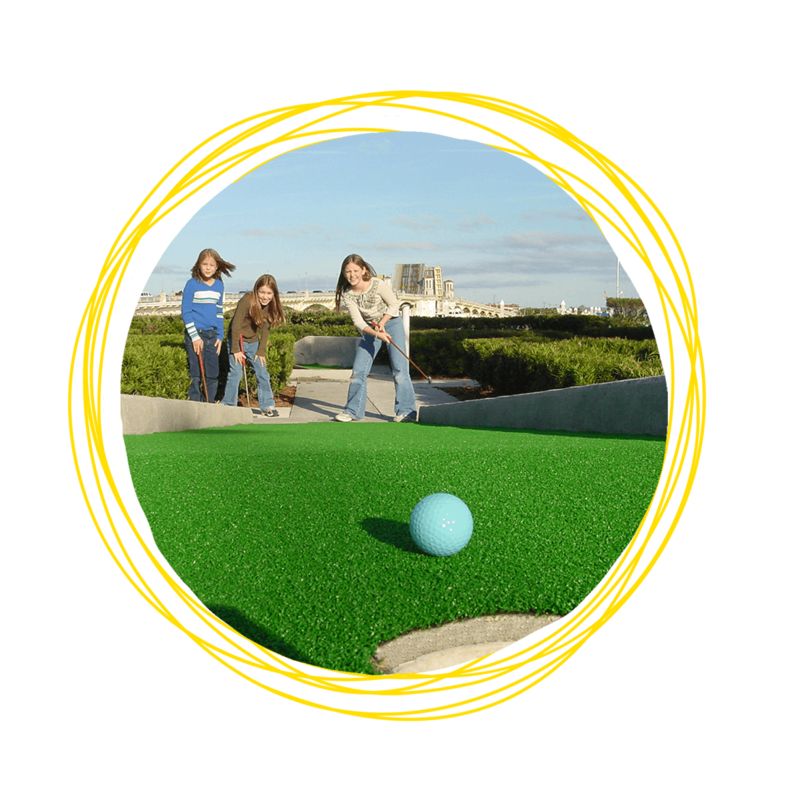 Located in in the heart of historic downtown St. Augustine, Bayfront Mini Golf is Florida's oldest course. Beautifully situated along the bay, right next to the Bridge of Lions, our challenging 18-hole course is not only fun but relaxing. Need a break? Stop on by.